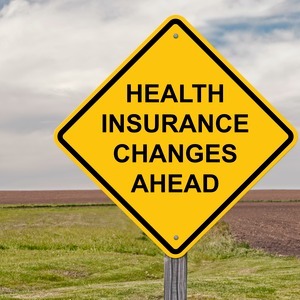 After you experience a layoff, there is a provision in federal law – known as COBRA – that will enable you to retain your employer-sponsored health insurance plan for up to 18 months or longer. But health insurance is hardly the only type of insurance coverage that you may have with your employer. There are other types of policies that you may have had through your employer, and you may wish to continue them after you’ve been separated. Unfortunately, other types of employer-sponsored insurance plans are not dealt with the way health insurance plans are under COBRA. In fact, it’s pretty much a mixed bag as to whether or not you will be able to continue with the various employer-sponsored insurance plans after a layoff. We’ll discuss some of these individually. What we won’t cover is employer-sponsored health insurance itself. That is covered under COBRA, but since it’s a major topic all by itself, we’ll write about it in a separate article. What are some of the other employer-sponsored health insurance plans that you may want to convert to private plans upon layoff? Next to health insurance, employer-sponsored life insurance is probably the coverage type that is of most concern to most people facing a layoff. This is particularly true if your employer-paid plan is either the only life insurance that you have, or the single largest policy that you have. While it may be tempting to simply forgo life insurance coverage during a layoff as a way of saving money, this is probably the worst strategy imaginable. Life can become more confusing and stressful when you’re out of work than it was when you were fully employed. You may be more at risk of early death from either accident or illness. Just as is the case with your health insurance, you’ll want to make sure that you have an adequate amount of life insurance even though you don’t have a job. As far as converting an employer-sponsored group life insurance policy to an individual policy, that will depend upon your former employer and the plan they had place. In order for you to be able to have conversion privileges on your life insurance plan, the group plan has to have a conversion provision for that to happen. The conversion provision allows a separated employee to convert their life insurance coverage to a private plan, and it usually does not require you to undergo a medical examination. This can be important – if you have any kind of health conditions you may not be able to obtain private life insurance. Or even if you can, it may be with premium rates that are prohibitive. The ability to convert your group plan to an individual one will likely be the best life insurance deal you’ll get. Even so, the premium that you will pay on the converted group plan will be based upon your age at the time of conversion. That was not the case when you initially signed up for the group plan, but now that you are out of the group, age will be a factor. In addition, the conversion plan may require that the policy be converted from a term policy to whole life. Generally speaking, that will result in higher premiums than what the plan would have been if it was allowed to remain term. And since you will have exited the group, your premiums will be based on individual rates, not the lower-cost group rates. As is the case with all converted insurance policies, you’ll be required to fill out relevant paperwork, and to begin making your premium payments in advance of conversion. The news on a short-term disability plan through an employer is a lot more confusing. Again, the ability to convert it to a private plan will depend upon the arrangement that is included in the group policy for the employer. One of the complications specific to a layoff is that since you are no longer earning any money, the necessity of short-term disability doesn’t really exist. There will be no income to replace in the event you become disabled. That will likely make short-term disablity unnecessary. In regard to dismemberment, the policy will usually pay the full benefit amount upon the loss of both legs, or both arms, or the loss of sight in both eyes. Generally speaking, it will pay 50% of the face amount in the event a single limb is lost, or eyesight in just one eye is gone. Once again, your ability to convert an employer plan to an individual one will depend upon the way your employer set up the plan, as well as the insurance company itself. Some will allow you to convert your AD&D plan without medical certification, and most will restrict coverage to people under age 70. Supplemental health insurance is coverage related to certain very specific illnesses or accidents, such as cancer, heart disease or types of disability related to accidents. They’re not health insurance in the traditional sense, but rather supplements that pay you a flat amount of money upon the incidence of the covered event. It can be excellent insurance to have, particularly if you have been laid off. It will provide you with extra cash that you will need to cover health insurance deductibles, as well as additional expenses that may result from your accident or illness. Best of all, it pays benefits direct to you, rather than to the healthcare provider. AFLAC is the most common provider of supplemental health insurance. If your plan is through AFLAC, you may be able to convert directly from your employer plan to an individual policy, depending upon how the plan has been set up between your employer and AFLAC. Even if there is no conversion provision, AFLAC will allow you to take an individual policy. There other insurance companies that provide AD&D coverage, and how you will manage the conversion will depend upon the employer policy and the conversion provision that may or may not be spelled out in the plan. Which type of insurance are you looking to convert? Have you converted your insurance before? Leave a comment!